This guide will help you find reliable information on poetry, in both print and electronic form. 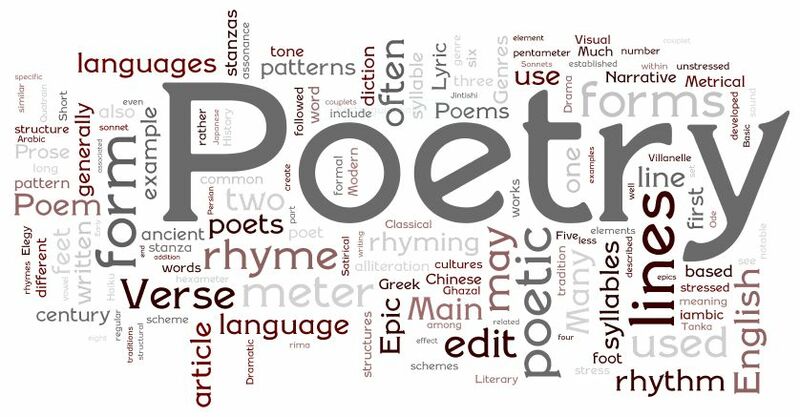 "Poetry is writing that formulates a concentrated imaginative awareness of experience in language chosen and arranged to create a specific emotional response through meaning, sound and rhythm" (Merriam-Webster Dictionary). This guide will help you find reliable information on poetry, in both print and online sources. Use the tabs at left to navigate through the Poetry Research Guide. In Lyrical Ballads, Wordsworth puts a question to himself: What is a poet? Then he replies: "He is a man speaking to men; a man endowed with more lively sensibility, more enthusiasm and tenderness, who has a greater knowledge of human nature, and a more comprehensive soul, than are supposed to be common among mankind". Poetry humanizes mankind. "Poetry’s object is truth, not individual and local, but general and universal. Poetry is the breath and finer spirit of all knowledge; the objects of the poet's thoughts are everywhere covering the vast empire of human society. As a result, the reader of poetry must necessarily be in some degree enlightened, and his affections strengthened. Poetry is the first and last of all knowledge - it is as immortal as the heart of man." 2019 National Poetry Month Poster. 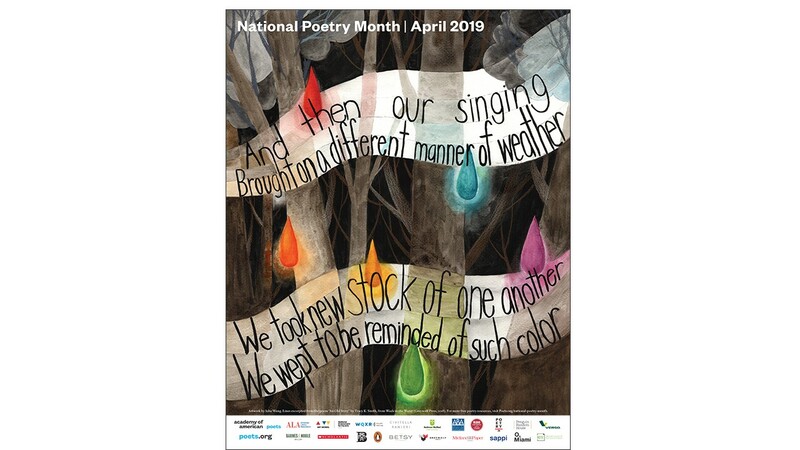 For the first time, the official National Poetry Month poster features artwork by a high school student: tenth grader Julia Wang from San Jose, California, who has won the inaugural National Poetry Month Poster Contest. Wang’s artwork was selected by contest judges Naomi Shihab Nye and Debbie Millman from among twelve finalists and more than 450 student submissions. It incorporates lines from the poem "An Old Story" by current U. S. Poet Laureate Tracy K. Smith. Read more about Wang’s winning artwork, including the judges’ citations.